Home Chocolate Why does hardly anyone manage to lose weight? Despite the fact that dieting often does not work, many people regularly venture to a new hype. This is partly because we have a too rosy picture when it comes to dieting. How exactly this can be read in this article. If you’ve already done waste attempts before, you’ll probably recognize it. You start losing weight and in the first few weeks or months, the kilos often fly away. This is also called the honeymoon phase (infatuation phase). It does not matter which diet you follow. Almost every diet appears to work the first few weeks. But you have also noticed that the infatuation phase changes after a few weeks or months. The pounds do not fly off anymore and you get more and more of a taste for something tasty. Those cravings are no longer sustainable at any given time. As a result, sooner or later you will go to the ax and eat something that is not allowed according to the dietary guidelines. In itself, such a misstep is not a disaster. But what often happens is that we tend to lapse into all-or-nothing thinking. Think of: “I’ve already eaten too much, now it does not matter anymore”. Then you let yourself go all the way and take away your self-confidence. This increases the chance that you will fall back into your old habits. You may now think, “okay, so do not go on a diet?”. That is the wisest thing, but still, the majority of people choose a new diet. This is probably because we tend to remember that phase in which the diet helped you. The failure of a diet is therefore often seen as a lack of commitment. In other words, if you do your best next time, you will succeed. But is it really true that the failure is caused by a lack of commitment? Many studies show that diets simply do not work. There are several reasons for this, including that diet simply can not be sustained indefinitely and you do not learn with a prescribed diet to change undesirable eating habits. Because I notice that many people are running into this and are constantly falling back, I have written an article about why diets do not work. First, you start by mapping your motivation. Why do you want to change? What is the most important reason for you? Ask yourself whether you are ready for it. Changing a lifestyle is a big challenge. Are you willing to give up certain things for this? It works to put the advantages and disadvantages of your current situation and your desired situation clearly on paper. Do you see fewer advantages than disadvantages of your lifestyle change? Then the chances are small that you will keep it full. So be honest with yourself! This way you avoid disappointment on disappointment. The next step is to become aware of your current behavior. What are your unwanted habits, for example, and what are you already doing well? 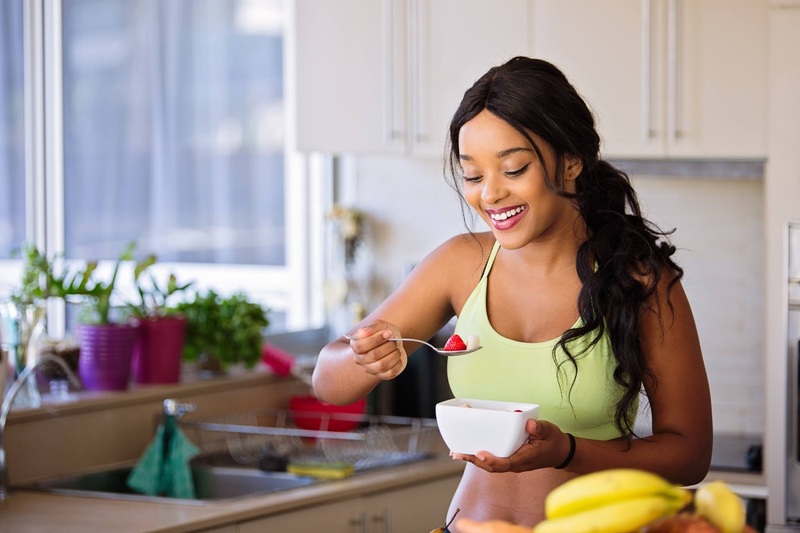 Because we notice that more people have questions about how to lose weight in a healthy way, we have written an extensive article about this. All questions about weight loss can be found here. Next articleIs muscle damage necessary for muscle growth?